There is a certain pleasure in having something new, or new to you. There are those who have no interest in new acquisitions and on the other end of the spectrum there are those who go into debt to feed this pleasure regularly and wind up with too much useless stuff. But for the majority of us, it is nice to have that occasional thrill of a new possession. I’ve gotten to the stage in life when I consider each purchase; whether it will be useful, where I will put it, do I already have something similar, will it replace something else. I can easily walk away from something that is mass produced when it comes to decorative items, but artist-made is another thing entirely. Particularly wood. Depending on the item, I might need a period of introduction. Adjustment in thought. Perhaps I took those words mothers and grandmothers say too much to heart – be careful, don’t ruin your new (insert name of new item here), you just got that. I did, after all, manage to ruin a few of those newly acquired things in my growing years. I can tell a story about almost everything that I have in my house. Many of the things were my parents’ or my grandparents’ things. Other things have come from trips – you can barely see the front of my fridge thanks to all the magnets. The story and the thing are intertwined. Perhaps it is the story that captures me most. But I can’t touch the story like I can run my hand along the secretary that was my grandmother’s. I didn’t buy anything new recently to prompt the thought for this post. I went to a fine art and craft show with a couple of friends. We checked out all of the things that people had made. 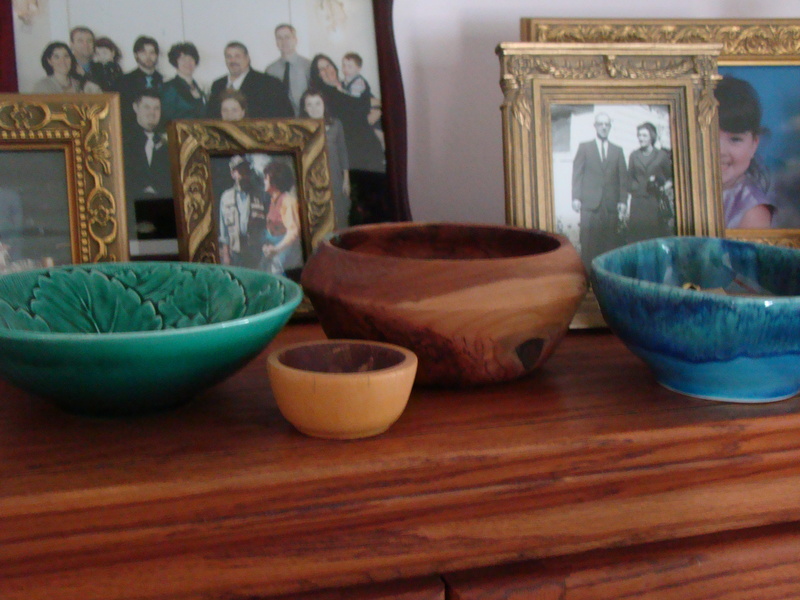 I was especially drawn to a burled wood bowl that felt like satin. I had gone hoping to find a gift or two, particularly something for one of the friends because it was her birthday. I’m kind of sorry that I didn’t get myself that bowl.